Patricia Joan DeAnda Novelli, a resident of Galveston for 67 years, passed from this life at home on Wednesday, October 24, 2018 at the age of 87. It was exactly one year from the day she was diagnosed with lung cancer. She passed peacefully with the love, grace, and dignity that was the hallmark of her life. She was an only child, preceded in death by her parents, her husband of 65 years, Ross J. Novelli Sr, and her nephew Archie Panfilli Jr.
Pat was born in Memphis, TN. She moved to San Antonio at the age of 3, and moved to Houston at the age of 10. She spent her formative years in Houston where she attended Lanier Middle school and St. Agnes Academy. She graduated at the age of 15 from St. Agnes in the Class of ’47. Pat attended Rice University where she was a member of the Pallas Athene Literary Society. These societies provided Rice women, who were unable to live on campus until 1957, a chance to organize, socialize, and plan functions. While Pat was attending Rice, she was introduced to Ross Novelli, a native Galvestonian, and they married six months later. Pat and Ross made their home in Galveston where she donated her time to many civic and charitable activities aligned with her family’s life. She was a parent leader for Boy/Girl Scouts, sports teams, homerooms, and other school events. St Patrick Catholic Church and its elementary school, which all her children attended, became a major part of her life. She served on the St Patrick’s School Board and was Chairman of the three year, multi-million dollar 1994 church renovation. She also served on the O’Connell High School Board for 15 years, three terms as Chairman. She was honored as Treasure Ball Captain for her service to the school and in 1984, after raising her children, she started an 11 year career as O’Connell Business Manager. In her spare time she played bridge until she discovered Mahjong which she played until recently. Pat was blessed with a keen mind, a generous heart, and a kind spirit. She was a warm, compassionate, and giving person dedicated to her faith. She asked for nothing. She was a true matriarch. She was the glue that held her family together. She was a rock and inspiration to all. Hers was a beautiful life well lived, loved by all, and admired by many. Pat is survived by her eight children: Deborah Novelli, Jordan Novelli and fiancée Elaine Puype, Karen Novelli and husband Walter Garvock, Ross Novelli and wife Jennifer, Bruce Novelli and wife Gail, Brent Novelli and wife Becky, Craig Novelli and wife Aura, and John Novelli. 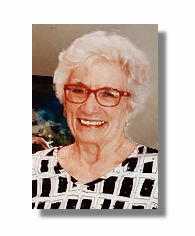 She is also survived by her thirteen grandchildren: Breton Novelli, Marisa Farrell, Meredith Padon and husband Cort, Allison Novelli, Isabella Novelli, Juliet Novelli, Matthew Novelli, Lauren Gerace and husband Robert, Adam Novelli and wife Courtney, Sydney Novelli, Megan Novelli, Emily Novelli, Elizabeth Novelli, and her foster granddaughter, Esta O’mara. Other survivors include her four great-grandchildren: Kylie, Vivian, and Caroline Gerace, and Presley Padon; as well as her nieces Jackie Panfilli and Rhonda Panfilli. The family wishes to extend their thanks to her friends for their support and kindness during her illness. A special thank you to the Hospice Care Team staff (Kodi Beverly, Bettie Sanchez, and Shari Mckusker) for their compassionate care. Serving as pallbearers will be her six sons. The family will receive visitors at J Levy & Termini Funeral Home located at 2128 Broadway on Sunday, October 28, 2018 from 5:00 – 7:00 pm, with a Rosary recitation to follow. A Mass of Christian Burial will be celebrated at St. Patrick Church, 1010 35th Street, by Fr. Page Polk and Deacon Robert Standridge on Monday, October 29th, at 10:30 am with interment following at Calvary Catholic Cemetery, 2506 65th Street. In lieu of flowers, please make memorial donations to Turning Point Gulf Coast, PO Box 626, Port Bolivar, TX 77650, or the charity of your choice.